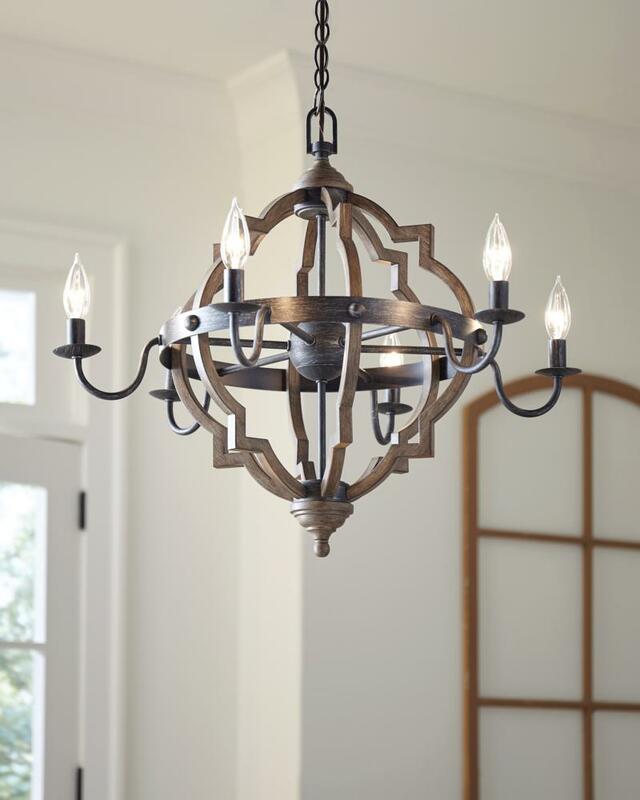 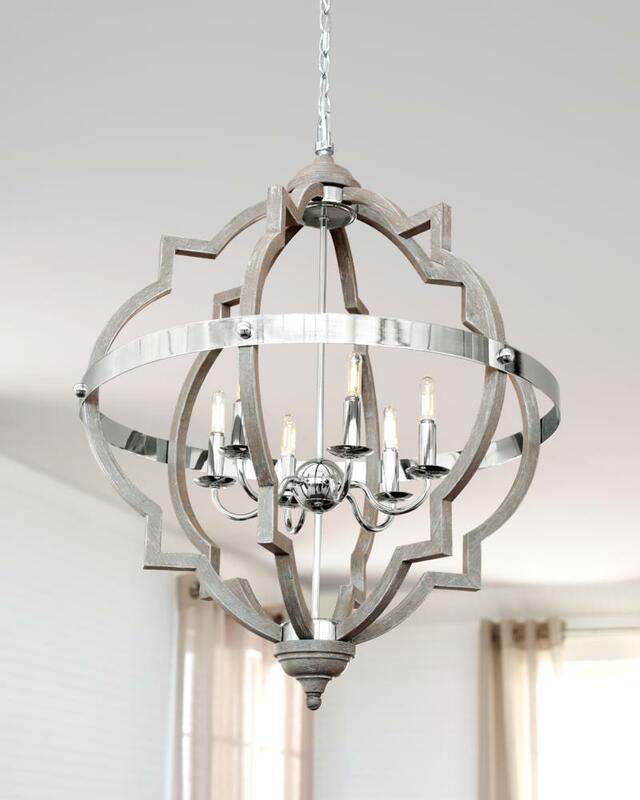 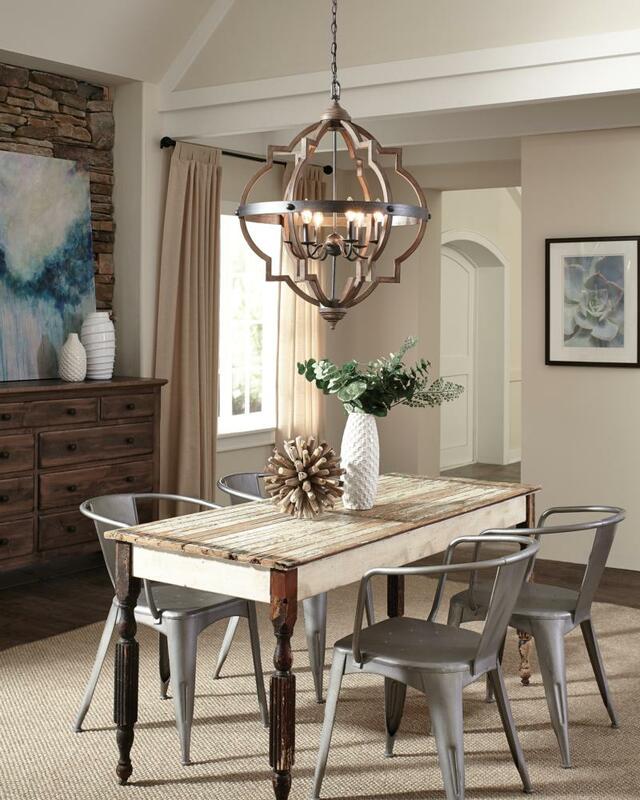 The transitional Socorro lighting collection by Sea Gull Lighting features a classic, barbed Quatrefoil profile - wholly updated by combining a distressed Cerused Oak finish on the decorative silhouette with the rich Stardust finish on the metal bobeches and decorative strapping to create undeniable rustic charm. 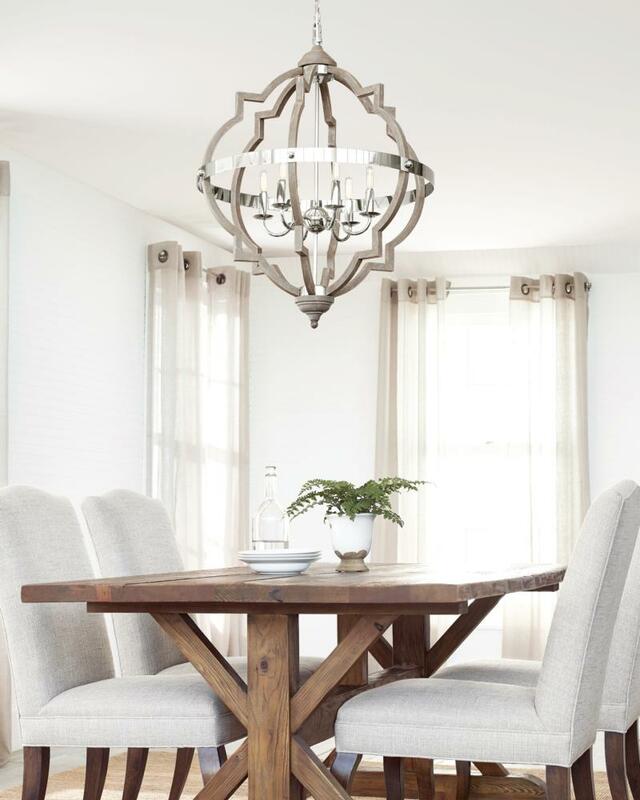 While still offered in its original finish Stardust, the Socorro has been beautifully updated with our popular Washed Pine and Chrome finish to offer a modern take on this timeless industrial beauty. 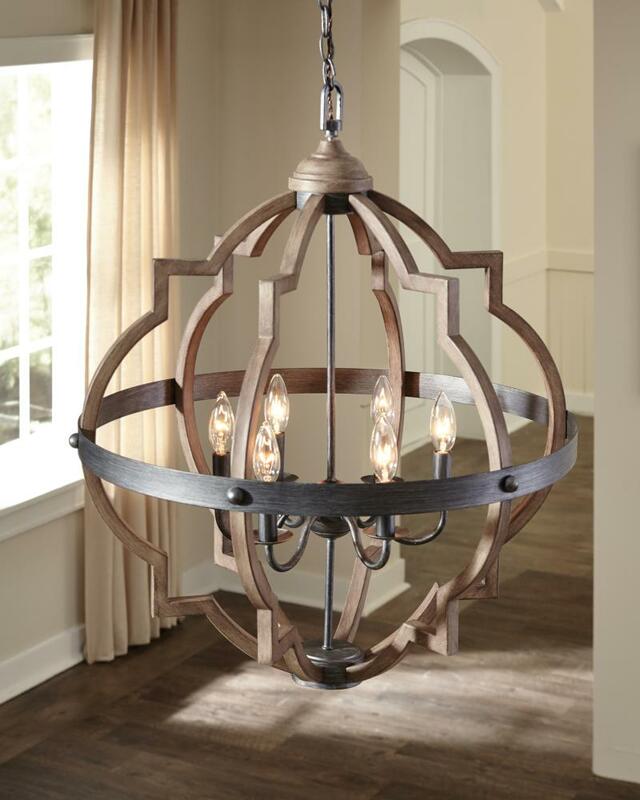 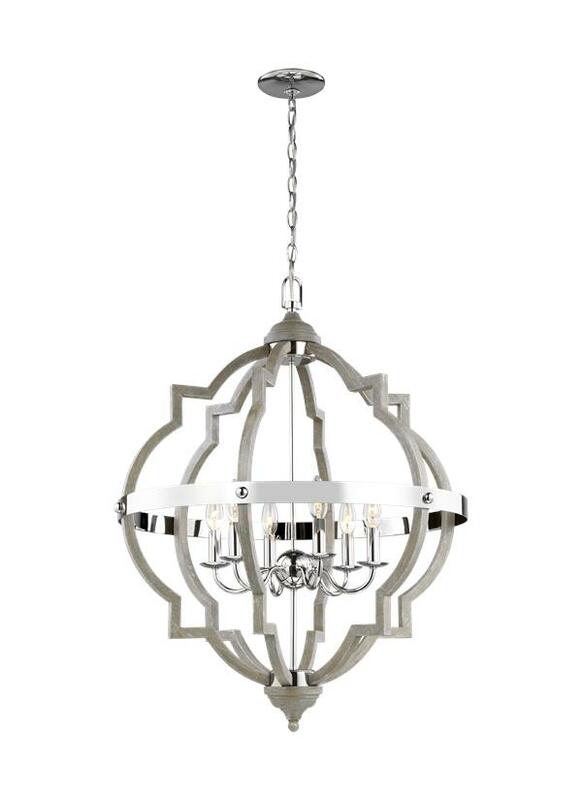 The collection includes a four-light mini-chandelier, medium and large six-light chandeliers, and four-light and six-light hall / foyer pendants. 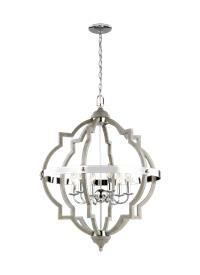 Incandescent candelabra base lamping. 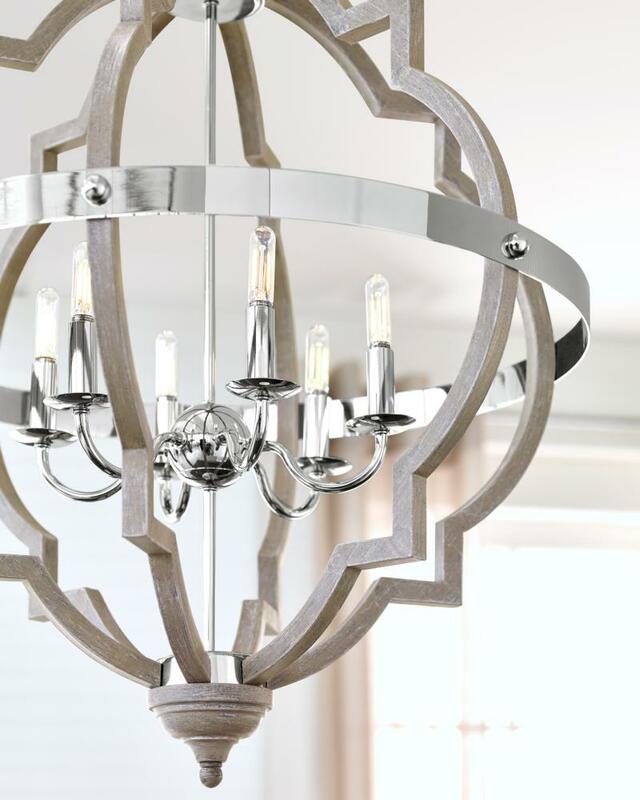 6 LED Candelabra Torpedo 3.5w Max.